If you want to find a publisher for a sequel to a cult classic game you made thirteen years ago, why not hit up Twitter? 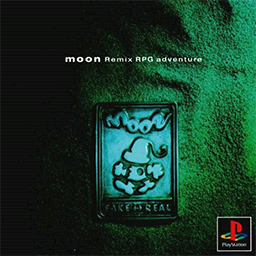 Thirteen years ago, Kenichi Nishi directed a critically acclaimed JRPG for the original PlayStation called Moon: Remix RPG Adventure (often just called Moon, for brevity's sake). Now 43 years old, the game designer - who has worked on games like Chrono Trigger - wants to make a sequel to Moon. There's just one problem: He doesn't have a publisher. So, he went to Twitter. In a Tweet translated by Eurogamer, Nishi asked fans of Moon - which was never released outside of Japan - to show their devotion to the title in order to help the sequel find someone willing to back it with money. "So that I can tell a sponsor 'we have around this many fans,' if you'd like a sequel to Moon, please use the hashtag #moon2," Nishi said. "Feel free to say what kind of features and what difficulty you'd like. Personally I think online would be good." Now, there's no guarantee that a Moon2 will ever be made. Users on NeoGAF translated more of Nishi's statements, in which he admitted that Moon2 was "not a sure thing," and that the game "needs money for development costs." This appears to be simply a rally or a call to arms, similar to actor Nathan Fillion's recent campaign to star in the Uncharted film adaptation. Even if it never gets anywhere, though, it's always interesting to see social media like Twitter used as a tool rather than just a vehicle for conveying your desire for Taco Bell at 2 AM.